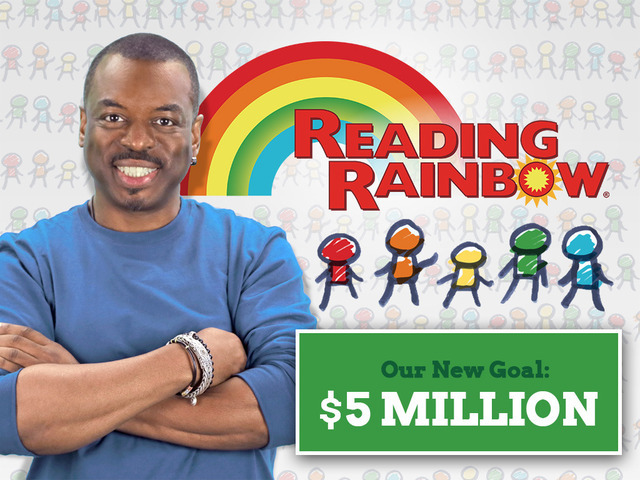 ‘Reading Rainbow’ Kickstarter Reaches $3 Million, And It’s Only Day 4! 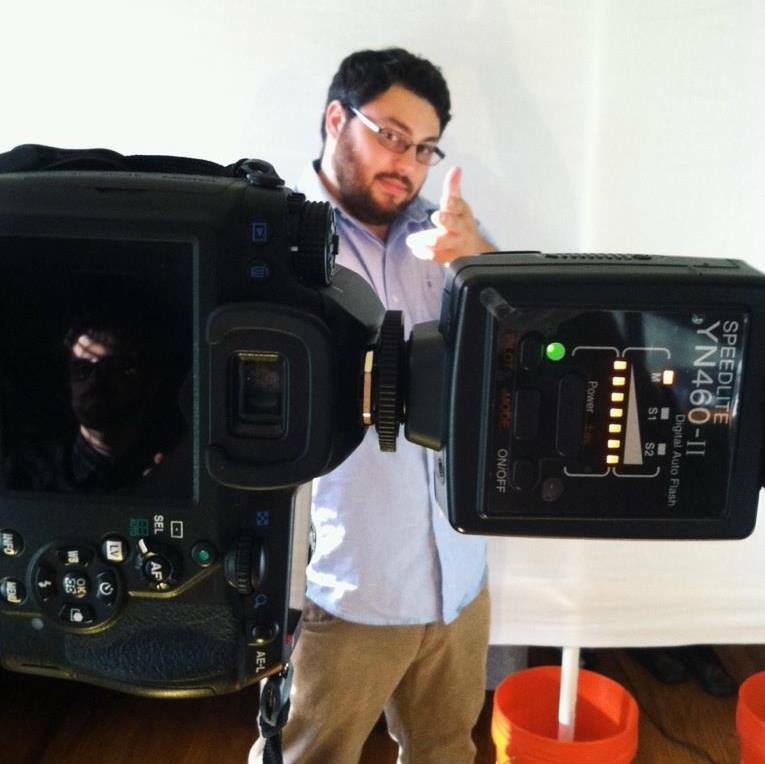 Since Kickstarter’s debut, there have been countless projects, charities, and even companies funded and launched. On May 28th, renowned actor LeVar Burton launched the Reading Rainbow campaign with his goal of bringing the beloved show back, but this time to the web. LeVar is well known for playing Geordi La Forge from the TV series, Star Trek: The Next Generation, or Kunta Kinte from the powerful mini-series, Roots. However, for 26 years, the beloved actor led children through the world of magic and wonderment that is reading, as well as an impossible to forget theme song. Three years since the show’s cancellation in 2006, and being pulled from the air in 2009, a Reading Rainbow app was released keep the dream alive on iPad. Now LeVar wants to take the dimmed flame of a dream and reignite it into an inferno of a reality. The initial goal of the project was to reach $1 million to bring the show to the web and be accessible to low-funded classrooms across the country. Not only that, but kids will be able to access it from home to go on video field trips much like LeVar had done on the original show. “We all dreamed and believed we could hit $1,000,000 in the 35 days of the campaign… but never, ever did we imagine you would get us there in 11 hours,” said the show’s CEO, Mark Wolfe on the project’s ‘updates‘ page. LeVar and Mark’s dream didn’t stop there. When Day 2 rolled around, the project had doubled what it had reached in the first 11 hours. “Together, there are now 55,000 of us, with more joining every minute. And in less than 48 hours, we’re almost at $2.5 million in pledges. It’s stunning and inspiring and, honestly, a little bit insane. But mostly amazing,” Mark commented in the second update. Now the project has reached its fourth day and has made over $3 million. It seems like the RR Crew has gotten used to the fact that they will continue to gain support, as they have announced a stretch goal of $5 million. With this new goal, they can bring Reading Rainbow into 7500 classrooms around the country and make an app for Android, consoles, and OTT Boxes, like Roku and AppleTV. While $5 million may have seemed like a tall order four days ago, now it seems like a goal that can be met. Only the backers have the power to make this dream a reality and it doesn’t seem like they will be backing down any time soon. From the words of Troy Barnes’ life hero, “You don’t have to take my word for it… Take a look!